(1). Singles are better able to cope with troubles (vs 25-28). (2). Singles are better able to maintain spiritual priorities (vs 29-31). (3). Singles have fewer distractions (vs 32-35). (4). Singles have the option of marriage (vs 36-40). John the Baptist and of course Jesus Christ! • Or they were not looking because they chose to live a single life. Quote: Lou Nicholes – Missio. • But the point they make is valid, even if the stats vary. “Statistics tell us that 37% of adults over 18 are single. During the average person’s lifetime, a significant portion of their life will be spent single. • Does draw in a wider audience than we might at first think. • The experts are divided! • Because in his day it was required for a Pharisees &Jewish Rabbi to be a married man. • And the two groups of experts happily or unhappily argue their case. • For the duration of his ministry he appears single. • And the apostles own letters seem to indicate the same. • And his words are from one single person to another. • Remaining unmarried has a number of advantages. • And have an application for us today. • In the context of his letter to the Corinthians. • He is writing to a specific Church who have a specific set of circumstances. • To both our understanding and application of this passage. “Now about virgins: I have no command from the Lord, but I give a judgment as one who by the Lord’s mercy is trustworthy. • I recently heard the story of a lady who wanted to marry four different men in her lifetime. • Each one would help her with the four things she needed most. • First she wanted to marry a banker. • Second a movie star. • And finally a funeral director. • The apostle Paul informs us not everyone is in need of one or even four husbands! • In fact he suggests that being single isn’t as bad as some people think. 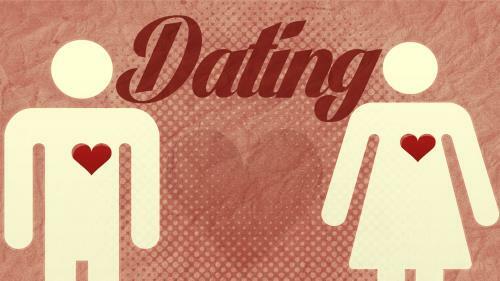 The apostle recommends that engaged couples should consider remaining single. • He is focusing on those who are engaged to be married.